We get plenty of deals submitted to us at Moneybright week on week, and as such – it’s always our pleasure to pick our favourite from the bunch to share with our readers. This week, as January’s ‘new year, new me’ attitude is in full swing, our deal of the week presents an offer you won’t be able to resist on a product that’ll give you all the workout-motivation you could ever need. That product is this wireless Bluetooth headphone set, which – with our exclusive code EQCJHTPX will send the price down from £24.99 to £17.50, giving you a grand saving of £8.49. 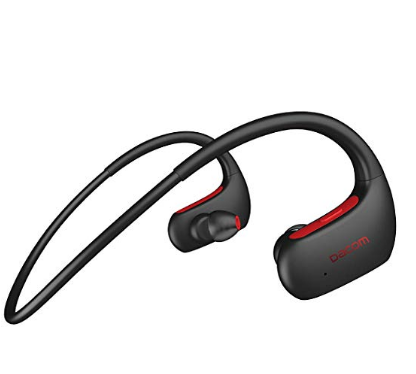 The DACOM IPX7 Running Headphones are splash proof and are therefore perfect for whatever activity you may throw at them. (Though we certainly wouldn’t recommend heading into the water with these in your ears). 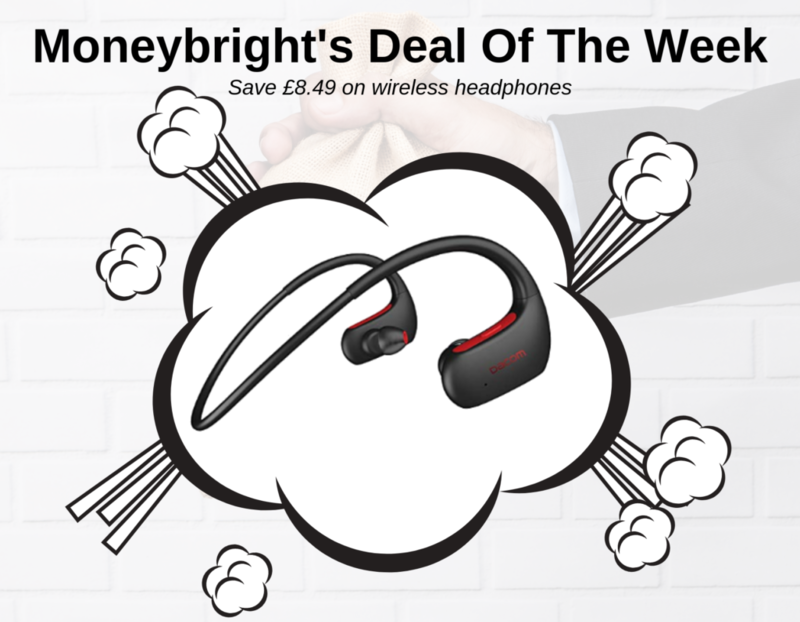 Great for the gym, but also brilliant for other activities too such as walking the dog or even just having some ‘me-time’, these headphones (which are already at a bargain price) will be hard to say no to. Where can I find the product? The DACOM IPX7 earphones can be found on Amazon. When does the deal expire? You’ll be able to grab the headphones at this discount price until the 28th Feburary, 2019. Online or offline? This deal is online only, and should be used on Amazon. Do you have a deal you’d like featured in our weekly roundup? Tell us what you’re offering, how long for and how to grab the bargain here – and you could very well be featured next week. Posted on January 23rd, 2019 in Deal Of The Week.